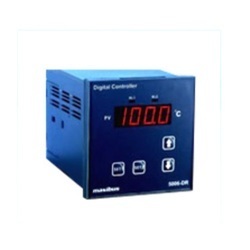 Being a client centric organization, we offer a superb quality range of Digital Temperature Controller, which are used to control and measurement of temperature. These products arte highly acclaimed by our clients for their compact designs and are used in different industries such as textile, metal, frozen products and medical. With the assistance of our diligent team of professionals, we are involved in offering a wide range of Temperature Controller Model 5002U. To ensure high and accurate functionality, these Controllers are provided with 4 independent programmable relay output. Our range is fully programming with the help of front pane keys with of 0.1% FS accuracy. The Temperature Controller Model 506 offered by us is manufactured in compliance with the international quality standards to deliver defect free products. These Digital Temperature Controllers are widely used in furnace application and chiller application in numerous industries. Our range is equipped with easy to use membrane key pad and dust-proof membrane in the front to ensure safe and easy usage. 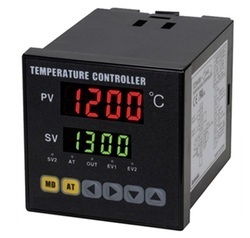 Our organization is involved in offering a comprehensive range of Temperature Controller Model 5006. 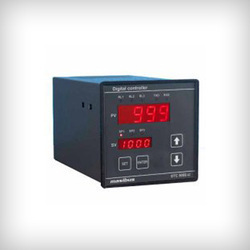 These Digital Temperature Controllers are known for high performance, excellent digital calibration and for providing accurate results. Our accurately control process temperature without extensive operator involvement for offering single / dual relay output as per the requirements. The wide range of temperature controller model 5006h offered by us is manufactured in tandem with the set industry standards. Our range is highly stable, cost effective and easy to install and operate. These are digital red led display, which displays and control temperature. 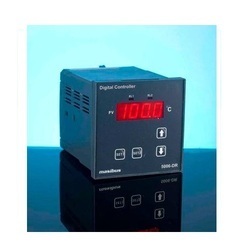 Capitalizing on our in-depth industry knowledge, we are involved in offering an extensive range of Digital Temperature Controller Model 5007. These are widely used in numerous industries owing to the measurement accuracy and efficient performance. 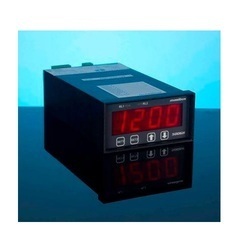 These igital Temperature Controllers are generally used for calculating temperature, time and counting, RPM. 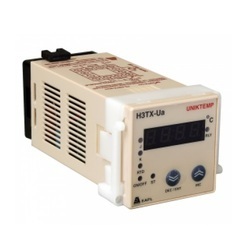 Owing to our rich industry experience in the respective field, we are offering our clients a wide range of Temperature Controller Model H3TX - 2U. These are appreciated for low power consumption, high accuracy and optimum functionality. Our range is excellent for regulating temperature in a host of applications.